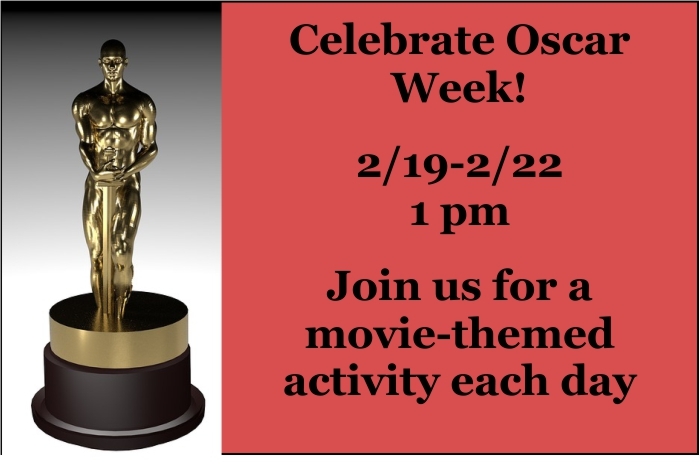 Celebrate winter break with a week of cinema inspired activities! Tuesday through Friday, 1 pm. Visit www.ryelibrary.org for more details and to register.